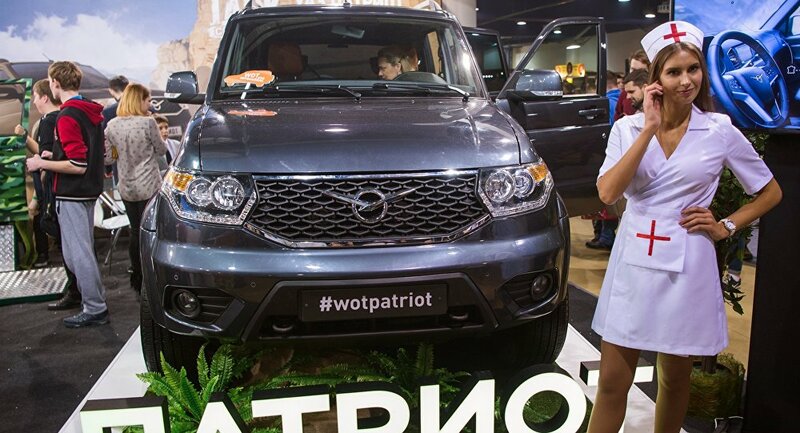 Ulyanovsky Avtomobilny Zavod (Ulyanovsk Automobile Plant), better known around the world by its acronym UAZ, is about to begin production of its UAZ Patriot SUVs and pickup trucks in Iran. The necessary arrangements, along with the signing of several pertinent contracts, were made during the Iran Auto Show 2017, an international expo which was held in Tehran in February. Andrey Dorofeev, UAZ Export Sales Director, told Sputnik Persian that the company first needs to assess the capacity of the Iranian market and the demand for its products before beginning manufacturing. "The Iranian automobile industry is well-developed and the government protects it with hefty import taxes… So in order to achieve a significant sales volume it is necessary to assemble cars on Iranian territory. But in order to understand the needs of the local customers, first it is necessary to begin supplying already-manufactured cars. We, along with our distributors, are ready to begin this process after the certification," Dorofeev said. It should be noted that Iran is quite familiar with UAZ vehicles as about 15,000 of them were supplied to the Islamic Republic by the 1990s. Back then, the cars were purchased strictly to satisfy the needs of the Iranian Defense Ministry. Soon however Iranian motorists will get a chance to familiarize themselves with these reliable and efficient vehicles.